Woodmen of the World is the largest fraternal benefit society with open membership in the United States. It is an insurance organization founded by Joseph Cullen Root in Omaha, Nebraska on the 6th of June, 1890. The first certificate of membership was issued to William A. McCully of Independence, Kansas on the 29th of December, 1890. 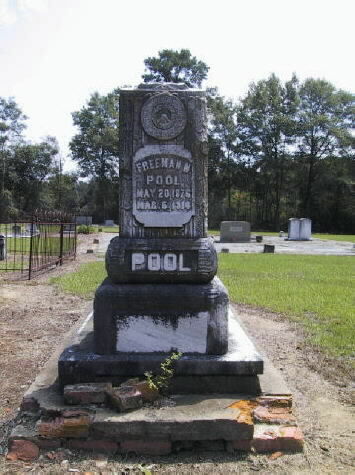 Six months later, Woodmen paid its first death claim on the life of teenager Willie O. Warner who drowned on the 14th of June, 1891, in Niles, Michigan. Early Woodmen of the World policies provided for a death and a monument benefit. 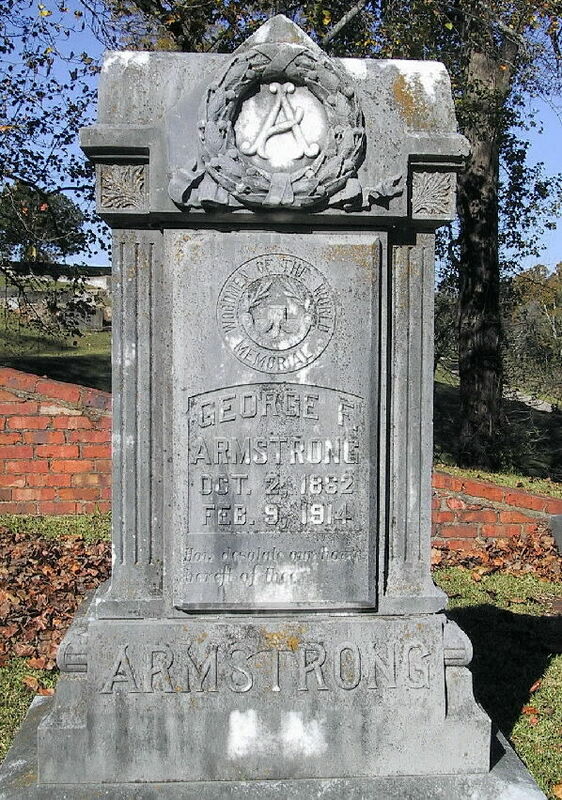 Gravestones were originally furnished to members for free and later were offered to those who purchased a $100 rider. During the 1920s the Society stopped providing markers to members when the cost of gravestones increased and cemeteries began prohibiting above-ground memorials for maintenance reasons. For many years after that, members and lodges arranged for markers and monuments on their own. 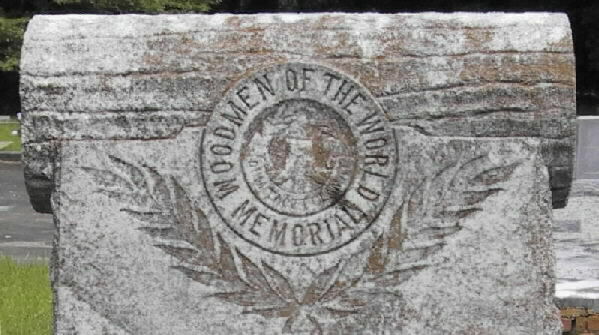 According to the Woodemen of the World website, although the monument benefit is no longer included, the Society does not let graves go unmarked. The Woodmen of the World are receiving a hearty welcome by the citizens of Atlanta. Quite a large list of charter applicants is already enrolled embracing such men as J. C. Hallman, J. C. Kirkpatrick, G. S. Prior, Guy Mitchel, A. P. Woodward, P. E. Murray, W. B. Sheldon, C. K. Buzbee, W. F. Shockley and others. While in general principle, woodcraft is similar to the Royal Arcanum, and Golden Chain, it has several unique and valuable features such as making its certificate noncontestable, placing the monument over the grave of every deceased member and the paid up policy. The order is constructed with a careful view of securing the lowest possible death rate and the greatest possible increase of membership. It has thus built in its two and a half years a membership of 17,000, and paid every loss in full with an average of six assessments per year. Mr. G. S. Prior, of 75 Peachtree, is taking an enthusiastic interest in this new fraternity, and having examined its standing, plan and history carefully, speaks in high commendation of it. About the first week in April a camp of 200 strong will be organized. The woodmen of the world have located permanent headquarters of the southern jurisdiction in Atlanta, and all the business pertaining to organization in the south is now handled in their Atlanta office. The citizens are showing their appreciation of this fact and of the excellent plan of the order by rapidly swelling the charter list. The first local camp in the city will be organized this week with over two hundred members. The woodmen is an order of four degrees, those of morning, noon and night giving social entertainment and educational advantages, while the protection degree affords an insurance at phenomenally low cost. The policy issued is non-contestable. A monument is placed over the grave of every deceased member. The certificate is never allowed to lapse while its holder is ill, and in thirty, twenty-five and twenty years the policy becomes paid up and a life membership is given. Dun's agency gives a favorable report of the fidelity and promptness with which all claims are met and of the integrity and standing of its officers. The remarkable growth of the order is evidently due to its merits, and it is here receiving the support of such men as W. S. Bell, Judge G. H. Tanner, W. T. Akers, J. G. Foote, W. E. and J. Venable, Albert Howell and many others of equal standing and repute. Monument unveilings in the South were associated primarily with fraternal, or semifraternal, orders. The most significant organization in the South associated with unveilings was the Woodemen of the World Life Assurance Society (W. O. W.). This semifraternal insurance organization had numerous "camps" scattered across the South, and practically every man belonged. Part of the membership creed supported the concept of a right to the dignity of a marked grave. 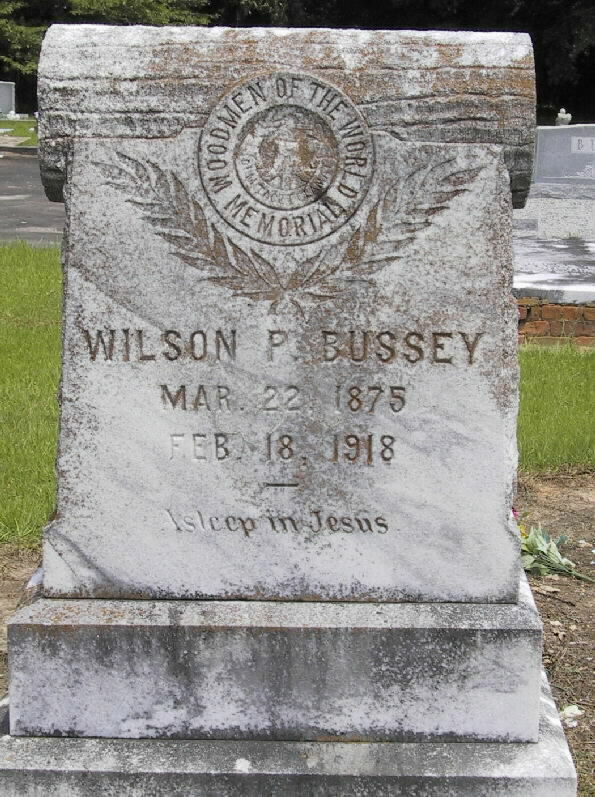 A policyholder could, therefore, arrange to have a monument engraved with the Woodmen of the World logo erected on his grave, the cost covered by a modest rider on the holder's insurance policy. Woodmen of the World monuments were dedicated and unveiled in formal ceremonies conducted by the local camp, usually on Memorial Day or at a convenient date set by the camp. The unveilings were formal events attended at times by a parade of the camp members to the cemetery and always with a moving eulogy for the deceased member. On Memorial Day flowers would be placed as well on the graves of other camp members. Later changes in the by-laws of the W. O. W. admitted women to the order and they too could have a marker with the W. O. W. logo. By the time women were allowed, however, unveilings had begun to decline precipitously, and no evidence of unveilings for women has been found. "The Woodemen of the World will, on Thursday, unveil the monument erected by that order over the grave of Mr. John Dootson. Rev. W. H. Young will read a poem and Mr. T. W. Reed will deliver the oration on that occasion." This page may be freely linked, but NEVER reproduced!